University of Dar Es Salaam, Tanzania (International Law School Exchange). Queens University, B.A.H. (English Literature). Melanie’s practice focuses on complex commercial litigation and arbitration, with a particular emphasis on construction, energy and securities disputes and bankruptcy and insolvency matters. She also advises clients on matters involving insurance law, class actions, product liability and commercial landlord disputes. Acting on behalf of owners, contractors and subcontractors, Melanie regularly advises on commercial construction matters as well as energy, infrastructure, and pipeline construction disputes. She appears before all levels of court in Alberta and several administrative tribunals, and provides advice and conducts trials, mediations and arbitrations on various matters, including contractual disputes and joint venture operations. 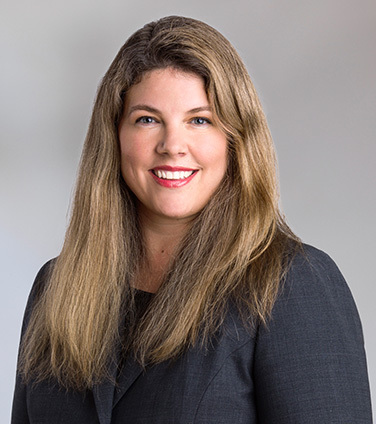 More recently, she has been lead counsel on a number of large construction and joint venture arbitrations involving construction and joint venture disputes, compliance audits and joint venture billing practices. Melanie also has considerable experience in bankruptcy and insolvency law. She has acted on behalf of both debtors and creditors in various restructuring and liquidation proceedings, including bankruptcy, CCAA, and receiverships. Melanie has advised parties regarding insolvency on commodity trading contracts and joint venture assets and operations in the energy industry. Her experience also includes representing clients in respect of asset purchases from insolvent parties, claims procedures for unsecured creditors, and advice on continuing relationships between a debtor and its creditors within and after restructuring occurs. She has worked with clients regarding various regulatory matters, including development board appeals and environmental/contaminated site investigations and issues. In addition, Melanie advises clients in subrogation actions, coverage issues and liability defence matters in the insurance area, most frequently coverage disputes and insurance issues arising in energy projects. She also assists clients in disputes regarding commercial leasing, subleasing and landlord collections, providing advice to commercial landlords and property managers regarding tenancy issues. Represented a large international Korea-based construction company in a significant arbitration with an owner regarding a series of construction contracts and auditing practices. Successfully resolved a significant arbitration in respect of a joint venture agreement, involving duties, rights, obligations and accounting irregularities as between joint venture partners. Successfully arbitrated against a municipality on behalf of a developer in respect of rights and obligations pursuant to subdivision and development agreements. Successfully brought injunction application in respect of joint venture operator trust obligation and energy facility surface access disputes. Acted in various disputes, litigated and arbitrated, involving construction of energy infrastructure and claims for delay and cost overruns, both in lump sum and “cost plus” contractual scenarios. Pursued a complicated multi-party recovery action arising from a gas plant explosion on behalf of both the underwriter and a large oil and gas company. Represented an owner/builder before a regional Development Appeal Board regarding establishing project work camps. Acted on an international commercial arbitration involving both construction and insurance issues in the oil sands. Successfully defended brokerage ﬁrms and investment advisors facing negligence claims. Acted in various construction defects actions involving aspects of building design and construction and construction product liability. Represented various clients facing historical contaminated sites arising from underground tank leakage. Acted in a trial involving the valuation and termination of derivative swap transactions. Acted in a commercial arbitration involving joint venture interests and operator duties in the Alberta gas ﬁeld. Advised clients in the electricity industry in respect of investigations and other activities of the Alberta Market Surveillance Administrator. Advised a variety of commercial clients in numerous contractual disputes. Involved as part of the Enron Canada Corp. advising team through its insolvency and subsequent litigation. Advised creditors and others in Alberta with interests aﬀected by the Spyglass, COGI and Mosaic receiverships. Advised aﬀected parties in respect of Sanjel and Laricina CCAA proceedings. Advised creditors and others in Alberta with interests affected by the Spyglass, COGI and Mosaic receiverships. Advised affected parties in respect of Sanjel and Laricina CCAA proceedings. Represented an owner/builder in submissions before a regional Development Appeal Board regarding an application to establish a project work camp. Successfully defended brokerage firms and investment advisors facing negligence claims. Acted in various construction defects actions involving aspects of building design and construction and construction product liability. Represented two separate clients facing historical contaminated sites arising from underground tank leakage. Acted in a commercial arbitration involving joint venture interests and operator duties in the Alberta gas field. Advised clients in the electricity industry in respect of investigations and other activities of the Alberta Market Surveillance Administrator. Advised a variety of commercial clients in numerous contractual disputes. Admissible Opinion Evidence at Trial: Rules, Restrictions and Limitations of Expert and Lay Opinion, The Annual Review of Civil Litigation 2017. Deﬁning Industry-Speciﬁc Contractual Terms: Supreme Court of Canada Revisits Principles of Contractual Interpretation, Osler Update, February 2017. The Eﬀects of Various Insolvency Proceedings on Joint Venture Interests in the Canadian Energy Industry, The Annual Review of Insolvency Law 2017. Alberta’s energy regulator imposes further restrictions on embattled energy industry in response to Redwater, Osler Update, June 23, 2016. Implications of the Redwater decision – Where does the buck stop?, Osler Update, May 19, 2016. How to Unilaterally Terminate Contracts Without Termination Provisions, The Annual Review of Civil Litigation 2016. Author: Is it Unethical to Not Understand E-Discovery, Professional Liability and Discipline Litigation Volume XVI, No. 2p 981-984. Presenter: Document Management in Complex Litigation, Legal Education Society of Alberta, Calgary and Edmonton, 2015.